On Monastic Life as Seeking God. You may have heard of Pascal’s Wager (cf. Pensées, n 418)? Blaise Pascal (1623-1662) was a brilliant and fervently devout 17th c. French mathematician, scientist, philosopher and theologian. He died aged only 39. His reputation in the Church was unfortunately rather tarnished by his close association with the Jansenists, whose positions on grace later were condemned by the Pope (but Pascal himself was no heretic). Anyway: in his famous “Wager”, Pascal presents a challenge to an imaginary person who considers himself either an atheist or an agnostic. This person is content to live his life without religion, more or less assuming God does not exist. Practically speaking, he may not be too bothered whether God exists or not. Pascal challenges this person to lay a bet. The options available for the bet are only two: it’s either heads or tails. Either God exists or he doesn’t. Either this life is going somewhere, or it’s going nowhere. Either it has meaning, and purpose, and a goal, or it has no meaning, no purpose, no goal. Death will be either simple extinction, or a final entry into God’s presence. But if God does exist, when we enter his presence at death, we will face the Final Judgement. The outcome of that will be determined by how we have lived our life on this earth, and whether or not we believed. If we believed in God, and in Christ, and lived well, the outcome for us will be infinite and eternal happiness. If we refused belief, and lived badly, the outcome will be eternal punishment: misery and pain without any end. Pascal’s argument is that it would be sheer folly, stupidity, madness, to bet on God not existing. The person who bets that way must certainly lose; whereas the person who bets on God’s existence must certainly win. Pascal is not here attempting to offer any proof of God’s existence. On the contrary, he deliberately sets the standard metaphysical proofs aside, because he thinks on their own they will never persuade an unbeliever. He also thinks you can’t ever attain mathematically provable certainty of God’s existence. (That’s interesting, since Pascal was a younger contemporary of Descartes, and was clearly not influenced by him at all. Descartes precisely demanded mathematical proof, and paid a heavy philosophical price to get it). So for Pascal, you have to bet on God’s existence, with an even chance of being either right or wrong. But you can’t not bet. If you try to take the option of “I don’t know or care”, then when you die, that will be taken in effect as a No bet. The stakes in this bet are ultimately high. If God exists, and you bet correctly that he does, giving him your faith and life while on this earth, then you will win an infinite prize. If God doesn’t exist, and you bet incorrectly that he does, then you lose nothing whatever. You will have lived your life buoyed up by hope, living all the virtues and avoiding the vices; which means living a useful, happy and fulfilled life. After that, of course, you will vanish into oblivion. But if you bet that God doesn’t exist when he actually does, you gain nothing, and lose everything. If you bet that God doesn’t exist, and are actually right to do so; still you gain nothing whatever. At death you vanish into oblivion; but your life will have been lived all the time without horizons, or guidelines, or hope; merely selfish, worldly, prey to all the vices, and inevitably frustrated. As for the agnostic, who thinks God might perhaps exist, but is too lazy to make the necessary effort to seek him: he must be not only a fool but a knave. Who would ever trust such a man? Who would lend him £5, when he has demonstrated such a shallow, feckless moral character? This person is prepared to prefer worthless trash to infinite goods; to pass by a offer of infinite good without even bothering to take it up. He should really be placed in a lunatic asylum for his own safety. Well: even now the philosophers find it hard to fault Pascal’s logic. His wager still holds good today. It might seem to encourage a rather mercenary and self-centred sort of faith, but Pascal is not bothered by that objection. A true flowering of faith and the Christian life will come later: but first we have to believe, and take God seriously. Pascal wants to prove, in face of contemporary scepticism, that to do so is morally and intellectually sound. According to Pascal, the real motivation for unbelief is very rarely an honest intellectual difficulty. Much more likely, the difficulty will be moral. The person actually refuses faith because he does not want to pay what he knows it will cost. He’s unwilling to let go of the sinful pleasures to which he clings; whether he acknowledges that or not. I mention all that here because it seems to address directly the spirit of the 21st century, never mind the 17th. The mind-set that Pascal exposes, and condemns, is precisely the one which dominates our own secular culture. 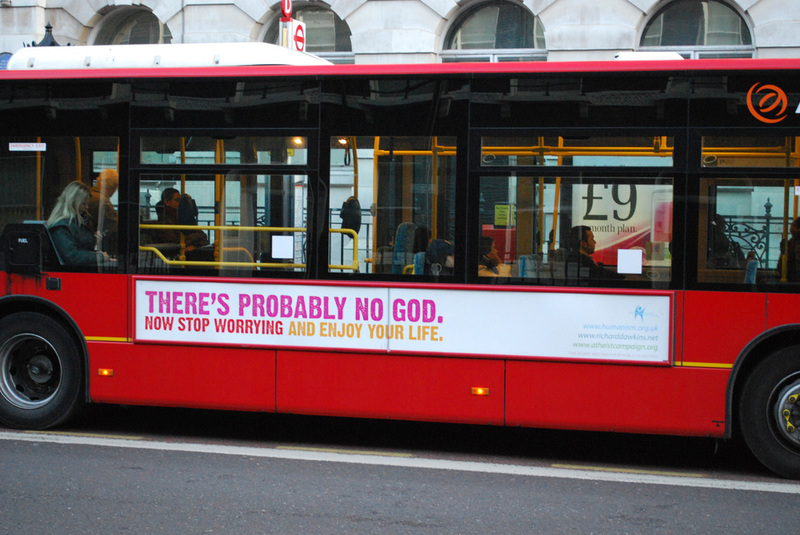 The default presumption is that God doesn’t exist. Or if he does, that’s not a particularly important or relevant truth. God can be a sort of comfort blanket or interest for those who like that sort of thing; so long as they don’t insist that their beliefs enter the public square, which should be kept entirely free of them. Well: all of us live in that culture: surrounded, bombarded by it all the time. So none of us can be entirely exempt from its influence. It affects in some way how all of us think. It’s useful to be aware of that, and to know we may have to work quite hard to combat it. What I want to suggest in this talk is that it is very reasonable, very sensible, very wise, to take the business of seeking God with the utmost seriousness; indeed to make it the main business of our whole life. That’s in essence what monastic life does. And for those in the Church who are not called to this particular vocation, still the existence of monastic life powerfully points towards the goal that all of us should have. As a matter of fact, all of us here now do happen to believe that God exists. Presumably: otherwise you wouldn’t be here! Actually we don’t just believe: we know. We don’t know in such a way that we can offer mathematical proof: we know more deeply than that. We know in the way Newman outlines in his Grammar of Assent: we have certainty of this truth, based on a range of evidences and probabilities and experiences, all of which together lead us to give full assent without any hesitation, and with the fully justified conviction of being right. This God, in whom we believe, is very great. He made us, and all there is. We came from him; we come from him; we are going to him. God is himself the infinite fullness of being. He cannot not exist. All things that exist draw their being, at every instant, from his being, such that if he withdrew his hand (as it were), they would instantly vanish into nothing. This God whom we worship is not a remote deity far removed from our life here on this earth; nor is he some sort of abstract “unmoved first mover”. By divine revelation we know that God made us in his own image and likeness, so that we could live in friendship with him, in communion with him. By divine revelation, and also by daily observation and experience, we also know that mankind has thrown that gift of friendship away. So instead of communion, we experience alienation, dislocation, pain; instead of unending life in all its abundance, we are confronted by the stark reality of death. According to Divine Revelation, as unfolded in Holy Scripture, God did not abandon mankind to his sin and folly. Instead, God reached out to him, to save him. He revealed himself in particular to his chosen people, to Israel, through the Patriarchs and the Law and the Prophets. Then finally God revealed himself through his own Son (Hebrews 1:1; John 1:9-14). In Jesus Christ, God made man, God himself stepped into the Universe he had made. In Jesus Christ, God the Son was born for us; died for us; rose again for us. In Jesus God invites us to share his own divine life. In the Holy Spirit we share the very Sonship of Jesus Christ. Other gifts God gave us in view of that supreme gift: through Jesus he established the Catholic Church; he gave us the Holy Eucharist to be our spiritual food; he gave us Mary to be our own Mother. In the Church, God ever feeds us, both with his Word, and with his Body and Blood. In all that we discover what we could never have deduced by ourselves, that God is not only One, but also Three. God is a Holy Trinity, three Persons in one God. He is a communion of love; he is not only all goodness and power, but also all love. And God calls us to enter that for all eternity. Granted the truth of all that: it’s obvious that our whole life, everyone’s life, should be turned towards God; that seeking God should be without any comparison the most important thing we ever do. So what monks do is sensible, sane, obvious, self explanatory, self justifying. Whereas: what our secular culture does is crazy; sick; perverted; or as Pascal would say: just plain foolish. To live and behave as if God did not exist is to lose the Wager. It’s a matter of deep sadness that our culture inevitably draws many many people to be big time losers along with it. When St. Benedict considers the application of a new person to join his community, he offers as criterion for accepting him, or not, this question: Does he truly seek God? There can be all sorts of other motivations driving a man to enter the monastery. That’s fine: we are all complicated people, acting according to a confused mixture of motives. But this motive has to be the central one. If it’s in place, the vocation could be authentic. If it’s not, the person should be sent away. St. Benedict incidentally also asks the aspirant: Who wants life? If you say I do - if you really crave life in its fullness - then the monastery could indeed be just the place for you! Please note that St. Benedict says “seeking God” rather than “finding God”. Yes: of course St. Andrew said “We have found the Messiah!” (Jn 1:41). Jesus himself said: “Whoever sees me, sees the Father” (Jn 14:9). He also said: “My son who was lost has been found (Lk 15:24). So yes: if we have the faith, then we have found God; or God has found us. Nevertheless: there will always be more to find. We don’t ask Are you saved? in the way our Evangelical friends have a habit of doing. St. Paul says that we are saved in hope (Rm 8:24). So having found God, as it were, we still need to seek him. A married couple after 50 years of marriage still have more to learn about each other, because each person always remains a mystery... How much more so God! Our life is a process. We want to be transformed, ever more and more, into what we seek, into what we love; to be truly sanctified; until Christ is truly our life, and our all. For the sake of that, the transforming process has to be both mystical and moral. We have to shed our vices and grow in virtue. The sacraments are necessary helps for that. We have to open our hearts ever more to the Holy Spirit. One way of speaking of continuous prayer is to call it continuous desire. The more we taste of God, the more we desire, in the best sense. So as monastic life slowly unfolds, our desire for God should deepen, and sharpen. St. Gregory defines a "monk" - “monachus” - not just as a man who lives alone, without a wife, but a man who has only one desire: and that is for God. The monastery is all set up to nurture this desire, this prayer - to make living it easy, or as easy as possible. St. Benedict legislates for prayer first. One of his great axioms is that nothing in the monastery should be preferred to the Work of God - to prayer. So Benedict strives to create an atmosphere, to provide the necessary time, and support, and encouragement, and discipline, and nourishment, and inspiration, and leadership, so that his monks will truly pray, and grow in prayer; will truly seek God, and truly be transformed in God. Do we ever find what we seek? Yes and no. We certainly will in heaven. The saints and mystics also certainly attain real union - what they call the mystical marriage - and we can legitimately desire to reach that state ourselves. But this life will always be a state of exile - a waiting room - a departure lounge. It’s not supposed to be too comfortable. If it were, we’d think this is all there is, and be content. We are not supposed to be content! Being wretched sinners, we also need the slow and continuous process of purgation, and purification, which the the trials and sufferings of this life provide for us. We need to learn, and practise patience. In St. Paul’s words, we need to become conformed to Christ’s suffering and death, in order that we might be conformed to his resurrection. Hence the highs and lows of seeking God. Sometimes there are moments of ecstasy; glimpses of the divine beauty; of the divine holiness, and presence, and love; and that induces at times overwhelming spiritual joy. But then also, necessarily, there are periods of trial, difficulty, temptation, suffering; an experience of the desert. In the one prayer we cry out Abba Father! I love you, Jesus my love! My God, and my all! In the other we cry Kyrie eleison; be merciful to me a sinner. Both of these prayers are true, both necessary; both inspired by the Holy Spirit. Everything I’ve said so far applies to all Christians. But monks dedicate their lives to it. Why? Because they have to; they are impelled to; called to; driven to. They want to. The Gospel is full of calls addressed to some, but not to all. All must follow Christ, but some must follow him Christ radically: to leave all things whatever for his sake. They must give up all their goods; their wife and family; they must renounce even their own will in order to follow Christ along his own way of obedience. Nowadays the question is always put: is such a choice a bit bizarre, individualistic, even selfish? The Hours of the Divine Office frame, punctuate, dominate our day: every day, with no exceptions. Through them, and through the Eucharist also, we live the life of the Church; we follow her liturgical year; we pray not just our own prayer, but the Church’s prayer: the prayer of the Bride of Christ; the prayer of Christ himself, head united to Body. Of course this is in principle far superior to merely individual prayer. But entering into it, uniting my own prayer with it, it becomes my own prayer; and my own prayer acquires its vast dimensions, and scope, and power. Then there’s personal prayer: the prayer of the heart. No one knows what is going on in another person: or even in himself. Prayer is always demanding; it always asks more of us; yet there’s nothing better, more interesting, that life can offer, than to be in communion with God. He is the one we seek, not ourselves; but in finding him we find ourselves also. Benedictine monks also seek God through living in community, and through our work. Christ is our way to the Father; we go through his sacred humanity; so our path to God has to be fully and completely human. In this respect it’s the opposite of New Age spirituality, or Buddhism. We don’t seek to escape into an esoteric world. On the contrary, we want to be firmly grounded: rooted in the ground (humus! ); in the flesh. So we work with our hands, our bodies; and we live together, interacting in a human way with real human beings. God is infinitely worth it, infinitely satisfying, interesting. “One thing I have asked of the Lord” sings the Psalmist (Ps 26/27:4). He’s the Pearl of great price, the Treasure hidden in the field, for which anyone with any sense would joyfully sell everything he has in order to get. He the “one thing necessary”, the “better part” which Mary chose (Lk 10:42). Of course it’s not possible for us on our own! Any more than bringing about the Kingdom is possible, or forgiving those who wrong us, or praying without ceasing. Without me, he says, you can do nothing (Jn 15:5). But according to St. Paul: I can do all things in him who gives me the strength (Phil 4:13). The evangelising witness of the monastery is convincing to many people who will never be persuaded by arguments or smooth sales talk. We evangelise not by going out, but by staying put. We bear witness: if you truly live the Gospel; if you give up all for it: you will be rewarded. It’s true. What will renew the Church? Only Saints; only people who are on fire with the love of God; people in love with the Church. The old man held up his hands, and flames shot out from his fingers. “Why don't you become all fire?” he said.